Dr. Janell Yzeik grew up in Lake Ariel and graduated from Western Wayne High School. Having to get glasses as a young child and always being interested in medicine, Dr. Yzeik developed an interest in optometry at an early age. 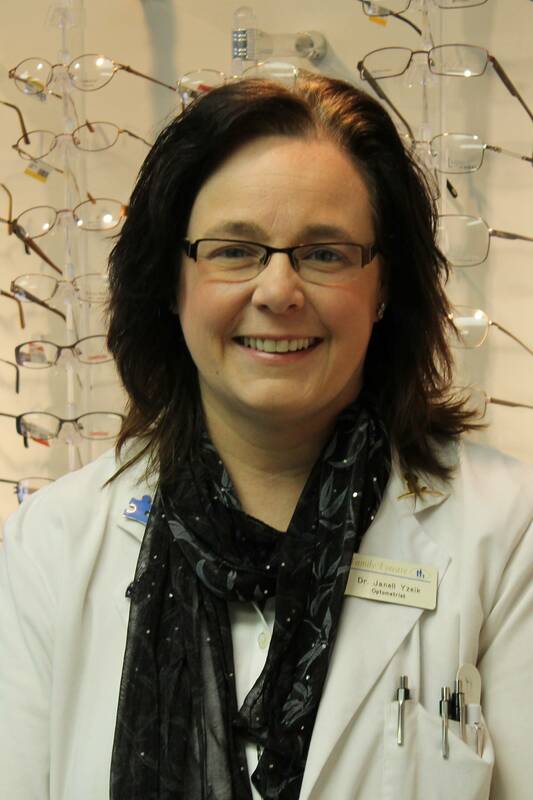 She received a Bachelor of Science degree in Biology from Wilkes College and her doctor of Optometry degree from The Pennsylvania College of Optometry in Philadelphia, Pennsylvania in 1993. While in Philadelphia, she received specailized training in pediatrics, low vision, contact lenses and treatment of eye diseases. Dr. Yzeik decided to move back home and she started practicing in Scranton. After 9 years, she started her own practice in Waymart in 2002. In her spare time Dr. Yzeik loves to spend time with her 2 sons Joshua and Jeremy and her husband John. She enjoys going to Jeremy’s soccer and baseball games and reading her son’s Joshua stories. She also enjoys traveling.